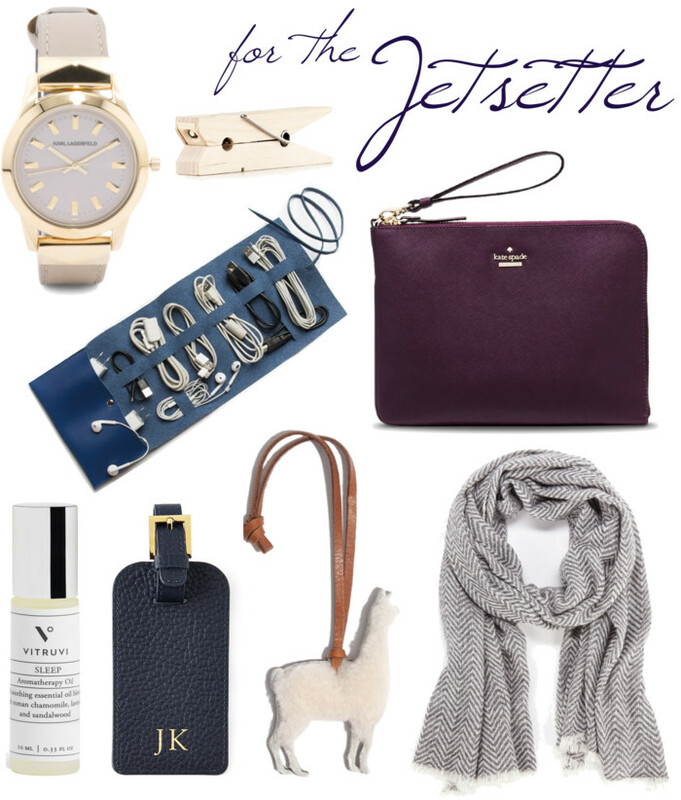 For the people in your life who are always traveling, a few little luxuries like a wristlet that keeps your cellphone charged (try this similar one if you are on a budget), some aroma thereapy sleep oil to help combat jetlag (it's got great reviews), and a monogrammed luggage tag would be perfection. The leather cord organizer would also be great for anyone who's just gotten Apple's new MacBook and now must have their life converted into dongles, haha. Travel Cord Roll, $20 at Brouk & Co.
Ahh I love the llama bag tag! I have been trying to get cooler travel accessories so this would be fun. I have a friend who for my birthday gave me a box full of goodies that are to be used for traveling... its such a good idea ! These are such practical gifts, all of which I could picture myself using frequently. It's a funny thing about travel, you don't really realize just how much you do it until you sit down and talk with someone who doesn't travel very often. I'm about to embark on something like my seventh or eighth trip of the year next weekend and I would gladly take all of these things with me! I travel so much and I can say that I use ALLLLLL of these! that llama tag is the darn cutest thing I've ever seen. Is it bad if I order it right now? Why are they these human beings able to exercise this? exercises and regimens were certainly looked at for the most powerful method to muscle improvement extra promptly, as well as more.